Dutch-speaking readers may want to check out the latest edition (13th September) of VPRO Gids magazine (circulation 250,000) for a superb 4-page colour feature on the series by feature writer Fred Hermsen. 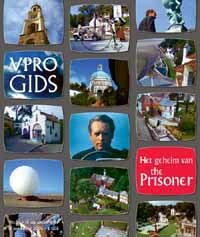 The article includes an overview, history, and images from the series, and Portmeirion, and also includes interviews with Robin Llywelyn of Portmeirion, TV historian Rob Fairclough, Dave Lally of the London Prisoner Group, and Rick Davy of The Unmutual Website. It is hoped that a translation of the article will be available online soon, along with fuller versions of some of the interviews. With thanks to Fred Hermsen of VPRO Gids for his help, the cover image, article, and including The Unmutual Website in his piece.